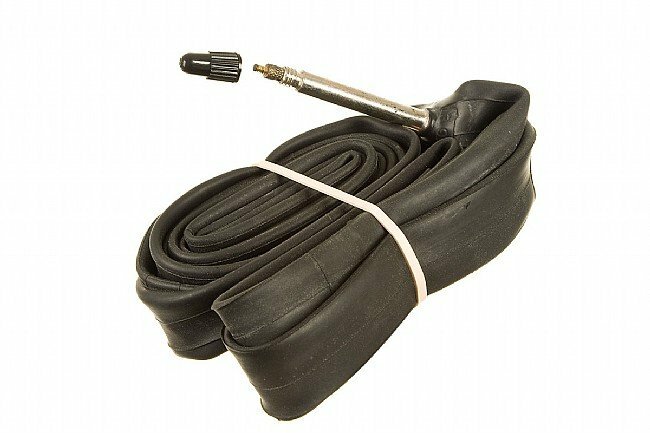 Kenda's Standard Weight Tubes fit 700c or 27 inch tires with Presta or Schrader valves. The pulldown menu indicates the tube size range (i.e. 700x23/25 will fit tires from 700c x 23mm to 700c x 25mm—these tubes will also fit 27" tires as long as the width is correct), as well as the length and type of valve stem. Standard necessity that represents a good value. Bought in bulk because they are reliable and if you ride frequently, you know you will use them! My favorite tubes for the last ten years! Extremely predictable! I can air these up the day before the big ride and be confident. Wont buy anything else. 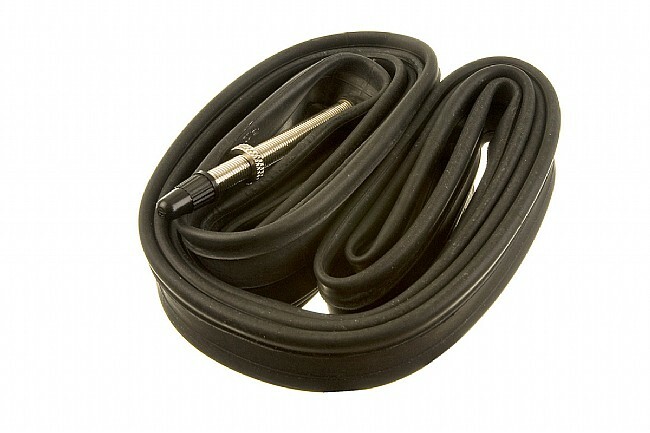 My go to bike tire tube! I discovered this brand years ago when I found them reboxed at a bike shop. I have been purchasing Kenda tubes ever since. They are extremely consistent on the amount of air they lose over time. They have never let me down. First time to use Presta valves without threads. I like not having all the threads and a little shorter valve stem. It looks cleaner on the wheel. Easy to install, looks good, and reliable. Tube is my primary and I keep a back-up with me when I ride. 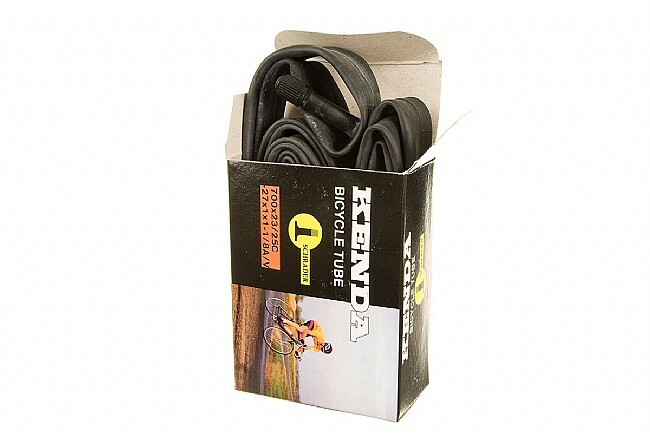 Haven't come across a reason not to like the Kenda tube. And with a great too! Good, reliable tire, keep 1-2 on the shelf! Everyday use from the neighborhood to 15 miles away, no regrets, always gets you there and back, other than a blowout! No problems. Easy to carry in pocket. Rode these over 3000 miles so far and have had only one flats big, nasty thorn. Same tires as before, same conditions as before, all surfaces. These tubes made the difference. They may be a little thicker and little heavier, but doggone, they work great. I get the 60mm smooth for my carbon 50s. I'm not aware of any reputable objective report that shows that one brand of butyl tube is better than others, so I don't see the need to pay more. Mine have worked fine as tubes go (including the ones with the name Kenda printed on the tube but with a different name on the box), which is to say, they will puncture when pierced by sharp objects, like all tubes. Good price, good durability. Not particularly light weight. But a good tune for daily use. They're not the lightest, but for typical training andor commuting these are my go-to tubes. I particularly like the smooth valve (no valve nut) which looks great in the wheel. My tire pump goes on this tube easily and comes off quickly. Very happy with this, I have a few for different bikes and have had no issues with installation or flats.